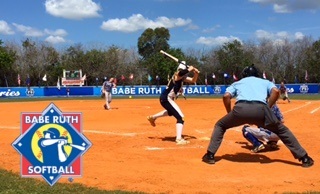 The top youth softball teams from coast to coast are returning to Martin County over the next two weeks for the Babe Ruth Softball World Series. A Babe Ruth World Series offers so much more than just the thrills of watching teams battle it out for the win. It’s a great opportunity for social and cultural exchanges. It’s a great way to connect and come together with other members of the Babe Ruth Family! The Treasure Coast Athletic Association hosts this 2-week tournament every summer where teams from all over the United States and beyond come to compete. This tournament is also broadcast/webcast so that our players can been seen from all over the US and the world! This is the second year all five age divisions will take place locally.